Late check out (after 11:30 AM and before 5:00 PM) may result in a fee. Cancellation is free if you cancel with 48 hours in advance via mail. If your reservation is NO REFUNDABLE it can be charged anytime after you made it. In case of no show, the first night will be charged (not valid for no refundable rates, which are 100% charged anytime you made it). The deposit of transfers is not refundable. The first night may be charged to verify the validity of the credit card. The only ones exempt from VAT are foreigners whh present passport, entry paper and pay in dollars. Children are welcome and children under 4 don't pay if they occupy the same bed of the representative. Children under 12 years old pay half price per person. We do not have own parking, but we can indicate one very close. Guests are responsible for their belongings in public areas and dormitories. You cannot enter the hostel with alcohol purchased outside - we have a bar. Visitors can stay only in the common areas and always accompanied by a guest. You cannot smoke inside the rooms - we have a patio for smokers. Noises are allowed until 23h30, maximum tolerance midnight. Subject to penalties. Our kitchen is open between 7am and 10:30pm. If you are foreigner, this option is not allowed to be chosen. You need to pick the credit card one. 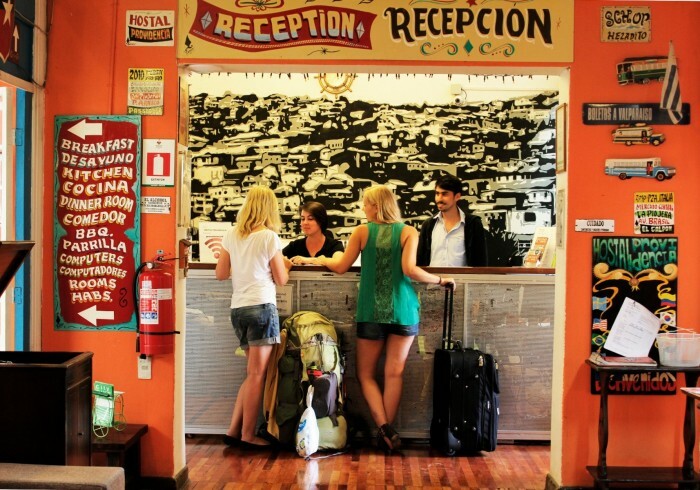 With an excellent location, we are a friendly and affordable hostel for all kind of travelers who want to meet people and have fun! Stay centrally, pay economically, enjoy ultimately! 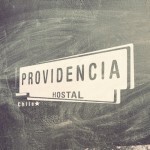 Hostal Providencia is located in the heart of Santiago, just 3 minute-walk from Plaza Italia, Baquedano metro station and Bellavista neighborhood, where you will find the best nightlife with many pubs, bars and restaurants. Moreover, we are a short walking distance of some of the coolest and most visited places in the metropolis: Parque Forestal, Cerro Santa Lucia, Pablo Neruda’s House, Central Market (or Fish Market), Santiago’s Cathedral, etc. Our rooms vary from dorms and single to double, triple and family (4, 5 and 6 people), all of them with private or shared bathroom option and also standard – a big patrimonial house - or deluxe - more like a hotel with plasma 32" and central heating. We have an awesome Week Plan with many tips of what to do in the city and besides we organize nightly activities with “Terremoto” (Earthquake in English: a typical Chilean drink you MUST try), Burgers, Pizza, Choripan, Hot Dog, Barbecue, Open Microphone (sing or play an instrument! ), Wine Tasting and much more! Here you can also buy the bus ticket to your next destination and book a hostel where you are going – we have friends’ hostels and together we can choose your favorite one! More services: Reception 24h Staff Multilingual Breakfast included WIFI all over the place InfoTour Office Housekeeping Free international calls (land lines) Linen and towels Bar Laundry (extra cost) Two equipped kitchens Free tea Video-game Computers Print Service Vending Machine Foosbal Mini-library… Don’t think twice: come and enjoy a taste of all that Santiago has to offer and make the most of your visit by staying with us right in the heart of the city!